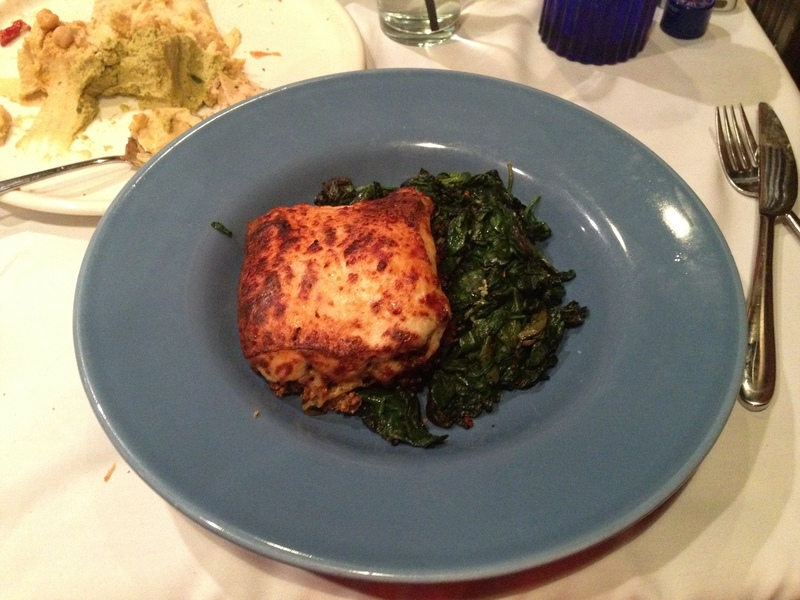 If you are looking for Rustic Greek Mediterranean Cuisine, Mediterrano is the place for you. 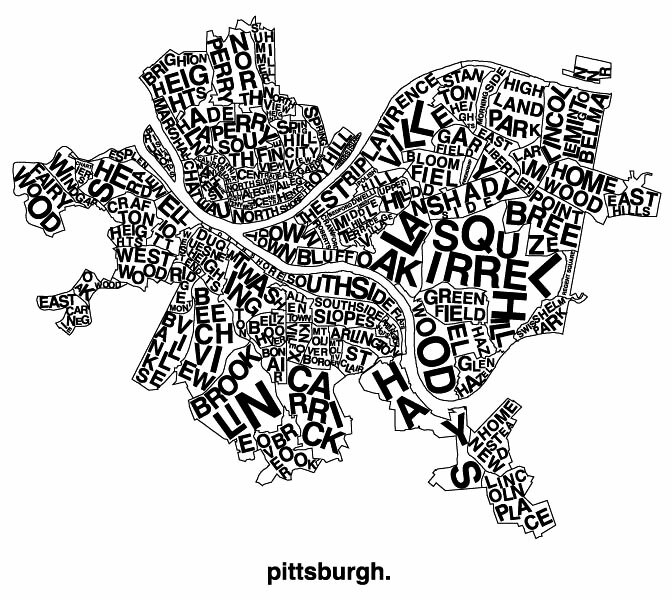 Voted Pittsburgh Magazine’s Best Mediterranean Restaurant in 2012, Mediterrano has done so much in their 3 years in business. Entering Mediterrano you get a very warm feeling that helps by its small intimate surroundings. The first thing we decided to order was the Hummus Sampler. This changes daily, that night we had classic, spicy and spinach. 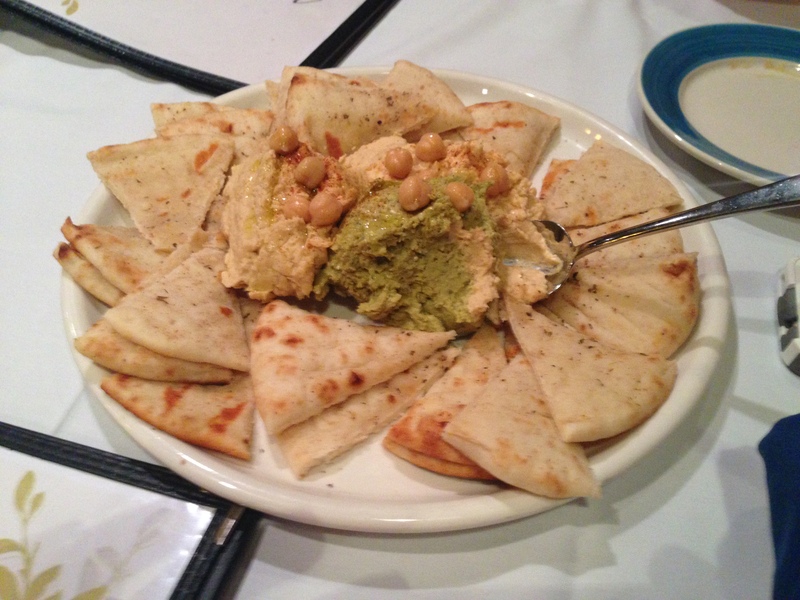 The Hummus Sampler is served with warm pita. All were great, of course as long as the classic hummus tastes good it can only go up from there. I’ve even ordered this a few times to go since my visit. The Village salad is easily one of my favorite things on the menu. Vine-ripened tomatoes, cucumbers, peppers, red onions, kalamata olives, feta, and Greek oregano, with garlic croutons, dressed with Mediterrano house vinaigrette. I ordered the smaller portion for this meal, but usually the larger portion is what I get. While this may be great by itself, add some lamb on top if you really want to make it a meal. For my main event I had Moussaka, how much more traditional can you get. Layers of lightly sautéed eggplant, zucchini, and potato, with aromatic meat sauce and béchamel. Absolutely delicious and it will make you want to order it every time you visit Mediterrano (this wasn’t my first). If you have never been to Mediterrano I highly suggest you schedule a visit ASAP! A little bonus tip for when you go, the spinach & feta pizza is fantastic!